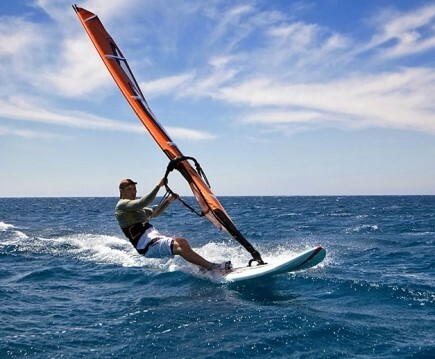 Windsurfing can be said to straddle both the laid-back culture of surf sports and the more rules-based environment of sailing. Although it might be considered a minimalistic version of a sailboat, windsurfing offers experiences that are outside the scope of other sailing craft. Windsurfers can perform jumps, inverted loops, spinning manoeuvres, and other "freestyle" moves that cannot be matched by any sailboat.